OGN (CJ ENM), has announced today the launch of OGN Super League Europe (OSL EU) PUBG Invitational 2018 in partnership with DeAPlaneta and 7Sports. OGN is the leading esports network and content producer in South Korea, while DeAPlaneta is a leading omnichannel entertainment company in Spain and 7Sports the sports business unit of German-based ProSiebenSat.1 Group. The premier competition of OSL EU, featuring professional teams, will be held from November 27 to December 2, 2018. For the first OSL in Europe, PUBG (PlayerUnknown's Battlegrounds) will be the featured competitive game for competition. At OSL EU, 16 different teams from different regions will be battling it out for a total prize pool of 60,000 EUR. Teams participating in the invitation-only league include Alliance, Avangar, FaZe Clan, G2 Esports, HWA Gaming, Team M19, Method, MOONWOLF, Natus Vincere, Ninjas in Pyjamas, Penta Sports, Pittsburgh Knights, Team Liquid, Team Vitality, Wild Gaming, and Wizards. This event will not be open to public attendance but available via online broadcast. 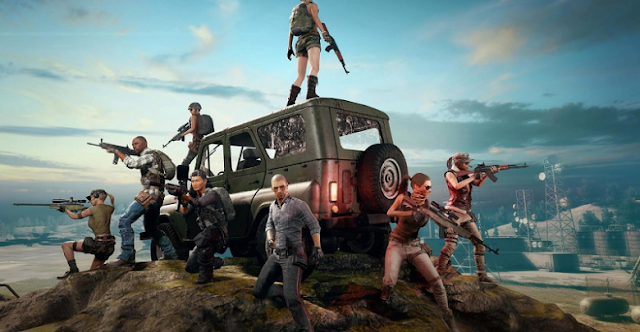 OSL EU competition will take place over three different virtual battlefields – Sanhok, Miramar, and Erangel - across the span of six days. A total of 4 rounds will be played per day with two days dedicated to each battlefield map. Teams can earn one point per every kill, and an additional 10 points for coming in first for the round. OSL EU will award prize money to the 'Dominator' (winner) of each map who has the highest accumulated point value from after two days. In addition, the team with the highest winning point value every day will receive an award as well. The concept of 'Dominator' is a key differentiating factor for OSL EU in comparison to other leagues. "We are looking forward to the debut of OSL in Europe. The rule and format could be new to audiences. For example, the main concept of the 'Dominator' and the rule set-up in general are easy for all types of audiences to not only understand, but also entertain," said Youngryul Choi, the head producer of OSL EU. "Through more active interaction with audiences, we expect OSL EU to grow in the years to come and contribute to PUBG's further success in Europe." OGN has partnered with major broadcasting platforms in Europe for OSL EU. Highlights of OSL EU will be broadcasted in Germany, Austria and Switzerland on ProSieben MAXX, a German Free-to-Air channel of ProSiebenSat.1 Group, as well as Neox in Spain. Live Broadcasting will be available on Twitch (www.twitch.tv/ognesports) and Facebook (www.facebook.com/OGNEsports). There will be promotional events including in-game items giveaways. For further information, visit OGN's official website (www.ognesports.com).